Paytm Mall, owned by Paytm E-commerce Pvt. Ltd., has announced the “Maha Cashback Sale” that is planned to run between 9th to the 15th of October. The company has partnered with leading brands and will jointly invest upwards of Rs. 501 Cr in Cashback, Paytm Gold and exciting sweepstakes during the festive sale dates. Paytm Mall has a vast catalog with over 100 million products shipping to over 20,000 pin codes. It has been witnessing huge traction for Mobiles, Laptops, Large Appliances, Fashion and FMCG categories and aims to drive further growth during the “Paytm Mall Maha Cashback Sale”. Boosting buyer’s confidence, all products sold through the platform come with the official brand warranty, local delivery, and free shipping. In addition, for simplifying purchases, the company is also offering No Cost EMI and additional 10% cashback through bank offers on a wide range of products including mobiles, laptops and large appliances among others. 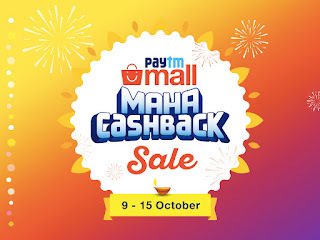 During the “Paytm Mall Maha Cashback Sale”, there will be daily Flash Sales offering special deals and also Lowest Price between 8 am to 12 pm on various products during the sale dates. 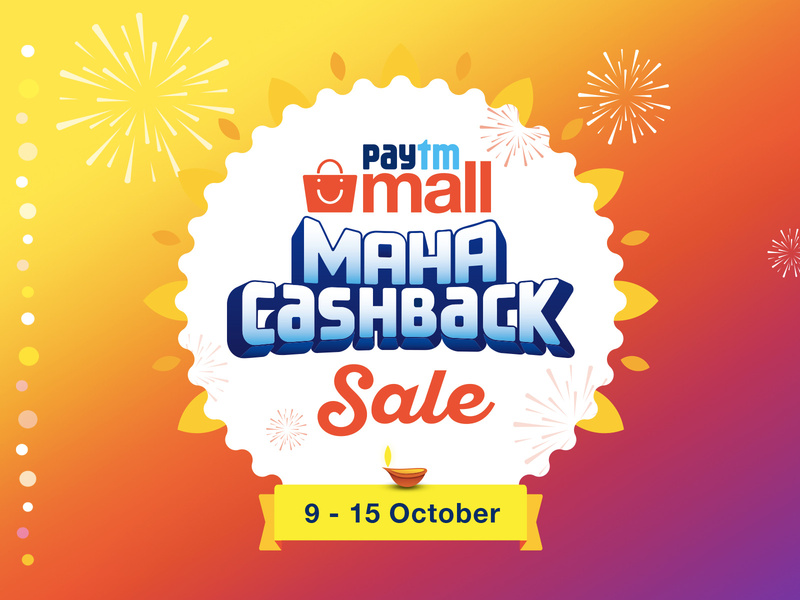 Paytm Mall will also feature several interactive games such as Treasure Hunt & Guess the Price for shoppers to play and win instant cash-back vouchers. Paytm Mall is also giving its customers a chance to win 7 Renault QWID cars during the sale period and also Paytm Gold every hour on orders of Rs 999 and above. In addition, every customer stands a chance to win 10 Samsung LED TVs, 5 Asus Laptops and iPhone XS through lucky draws during the sale period. The platform aims to contribute towards the business growth of partnered brands, retail stores, large format retail stores, and multi-brand outlets while offering incredible buying experience to the customers.